The picture on the left is exactly what my hair looks like fresh out of the shower, air-dried and without any products. My natural texture is frizzy, shapeless, and lackluster, making my hair look rough and untidy. As a lover of long hair, I also suffer from split ends and breakage and because my hair has never been dyed, it is very thin and fragile. 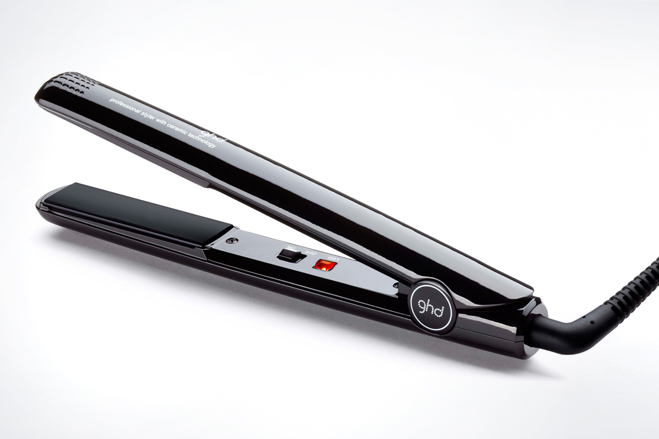 With the ghd 1 inch styler, I can get smooth, straight hair in under 5 minutes. First, I prep my hair with TRESemmé Heat Tamer Protective Spray and brush it out to distribute the product evenly -- protecting the hair from heat damage is a MUST. Using a small paddle brush to separate the hair, I lead with the brush and guide the styler to straighten small sections at a time. 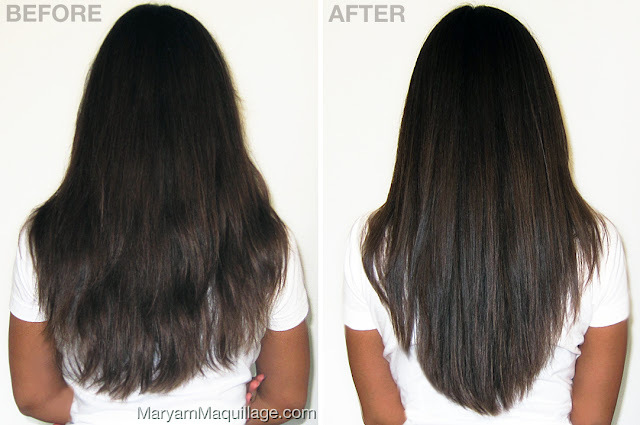 The result: straight, smooth, shiny, healthy looking hair in minutes! 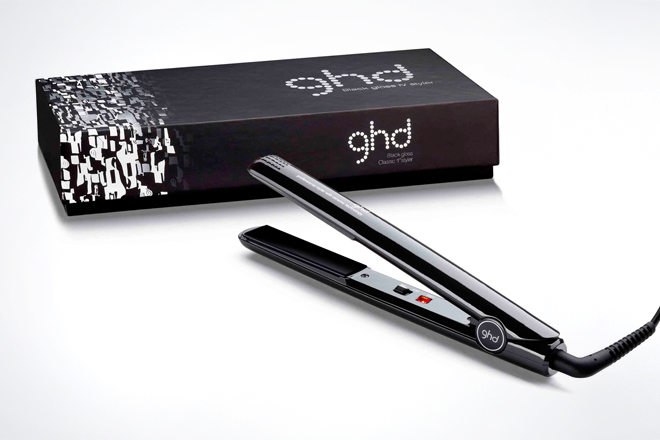 ghd Limited Edition Black gloss 1 inch styler is shiny, black and glossy in this limited edition version of the classic award-winning straightening iron. The ghd Classic 1" styler is brilliant at no-fuss styling on all hair types and offers quick and easy kink-free straightening, as well as curls, waves and all your other favorite styling techniques. My favorite part about the ghd 1 inch styler is the simplicity of the one-button feature. Most people aren't trained to know their personalized heat setting, so they end up burning the hair by setting the heat too high. 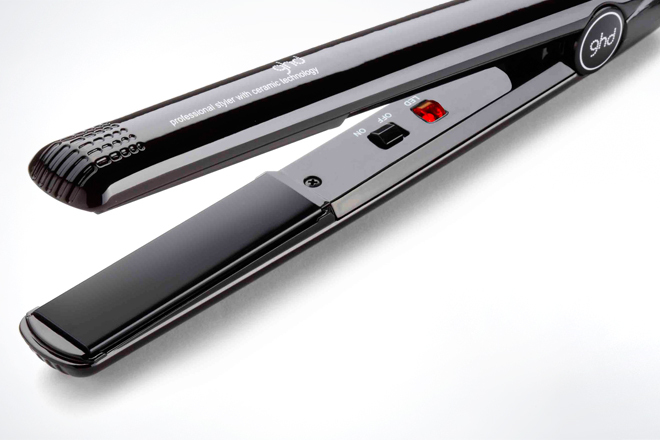 This ghd styler eliminates the possibility of making this mistake, so you never have to worry about the burnt hair smell and the obvious hair damage associated with it. This styler lets out two beeps -- one when it's turned on, and a second one when it's ready -- it's simple and effective. Separate your hair into three sections (nape, center, crown). Clip up the top sections and start from the bottom. Taking one inch sections of hair, crimp the strand in the middle and twist the section around the barrel while keeping it vertical and allowing the hair to slide through. Continue to the top crown section. So THAT's how you get those gorgeous waves! I'm avoiding most heat appliances for now. I haven't been kind to my tresses with at-home hair dye & need to grow it out. Thanks for sharing your GHD experience! Love ghd products! You can never go wrong with them! your before and after pics look awesome! You are so ravishing and full of oomph !